There are many brands of security camera systems flooding today’s market and not all of them are ideal for every user. You can go to Amazon.com right now and be bombarded with the many options available. Consider the wireless surveillance system reviews below to help you narrow down your decision making for the top wireless security camera system that’s right for you. The D-Link DCS-934L home network camera comes with in-built Infra-Red LEDs that allow users to see what’s going on even when there is dim or no light at all. This feature is active within a distance of 5 meters. It comes with a mydlink app compatible with android and iOS devices. This ensures that you can see your camera feed from anywhere as long as there is internet connection. It also comes with motion sensing technology that triggers instant email alerts and automatic recording based on what’s happening around the camera’s environment. · The camera is known to malfunction after software updates. · The price can be considered high for most consumers. 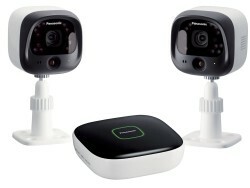 This wireless system offers an easy DIY set-up that allows users to mount the two camera discretely onto any fence, wall or the house. In addition, it takes only a few seconds to sync them with the existing Wi-Fi router. It also allows you to monitor your property or home remotely from your smartphone. One of it’s neatest features is that it also allows you to record video in real-time which can be useful for different situations. The cameras can be used as outdoor cameras as well, and provide clear coverage during daytime of up to 40 ft.
· Some customers have reported that there’s a glitch with the motion sensor at times, although we did not reproduce this problem ourselves. · The image sensor has a weak 0.3 megapixel resolution. This is a neat little camera system that comes with Oco’s lvideon app that offers a custom experience when streaming videos via Windows, iOS, Android and PC browsers. These security cameras are easy to install and even easier to use. It literally takes about 60 seconds to set them up. The cameras also come with an auto-alert feature for any changes in the camera’s view, whether it’s movements and/or sound detection. · Offers 720p HD streaming. · Compatible with mobile devices. · It switches to night vision mode very fast. Netgear’s Arlo Smart Security cameras pack a big punch in such a small size. The set of 3 cameras come with magnetic mounts and 100% wire-free design that makes it easy for one to mount them almost anywhere. The cameras allow users to monitor any location where the cameras have been placed in HD steaming via smartphones and computers. All you need is Arlo’s free app and an internet connection. Installation is a breeze as well and anyone can be up and running in just a matter of minutes with no hassles. The cameras are also weatherproof so they can be used both indoors and outdoors. 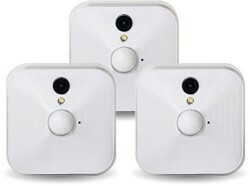 The Blink camera system is definitely the solution to those looking for a truly wireless solution for video security. The cameras are powered by 2 AA Lithium batteries that deliver more than an year of battery life. It’s built-in motion sensor captures 720p HD video and delivers 5 to 10 second video clips via e-mail when motion is detected. 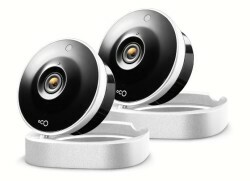 It also has a Live View feature that allows users to check into the camera system at any time. The setup is very easy and anyone can get up in running in no time. We found that the user interface is very intuitive and easy to work with, which is a plus to help make things even easier. Best of all, there are no monthly fees charged with this system at all unlike many video camera systems on the market today. Whether you are in for single or multiple security cameras, wired or wireless, our main objective is to ensure that you get the best model for your home or workplace. 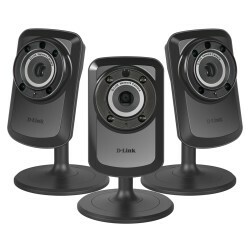 Out of the 5 wireless security camera systems reviewed above our choice would be the Blink Home Security Camera System. for it’s simplicity, truly wireless design, clear video and best of all, it’s price. For more information about Security Cameras and Surveillance visit this website.